You will be able to buy our products at Wholesale Pricing! 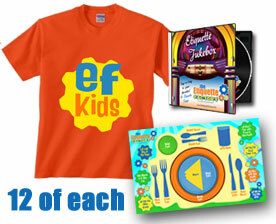 Below are just a few of the products that will be available for you. 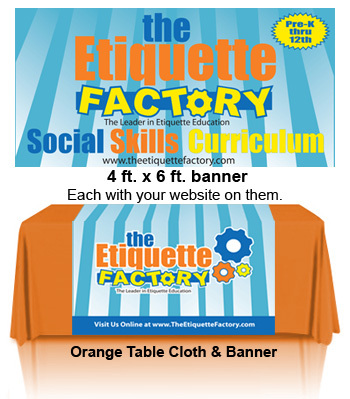 Convention Supply Set includes 4 foot by 6 foot banner, orange table cloth, table runner. These products are of the finest material with bright colors and wrinkle resistant material. The banners comes with drummers on all four sides. 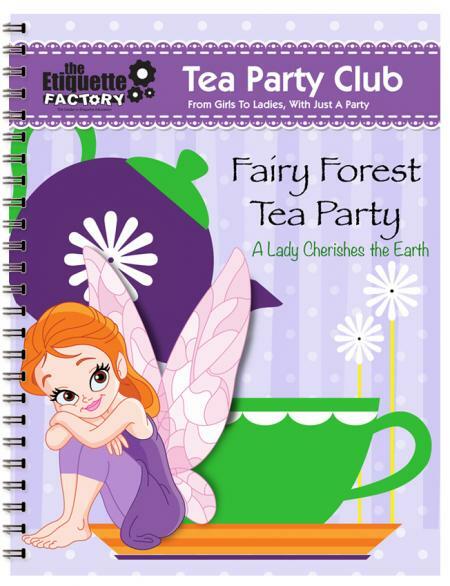 The "Fairy Forest Tea Party” focuses on the etiquette skill; a lady cherishes the earth. A true lady knows that her home encompasses the whole earth and she knows that it is her honor to do her part in helping to take care of this earth and the living things around her. 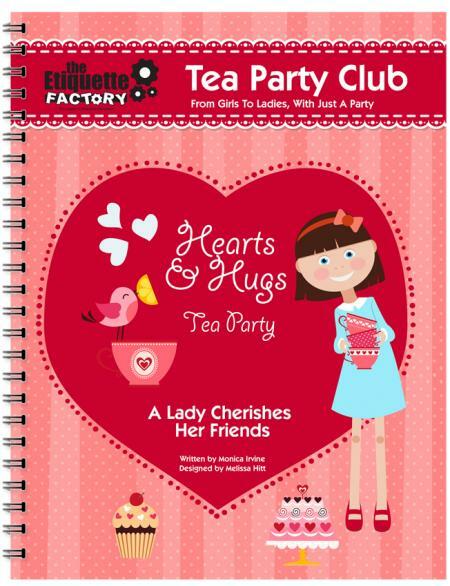 The game, activity and etiquette lesson in this tea party, are sweet reminders to help young girls recognize these responsibilities. The host will be giddy with excitement as she learns how to create a beautiful mini fairy garden and fairy doors, along with a couple of gnome houses. Oh this is going to be great fun!!! 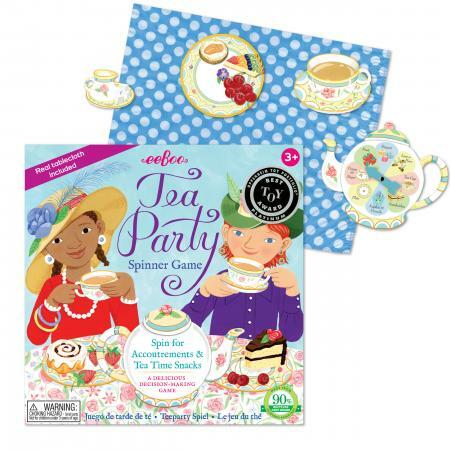 Perfect for any occasion, including birthdays, this tea party is simply adorable!! 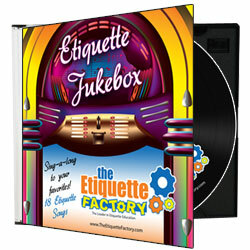 Includes, 14pt gloss coated cover printed full color on 2 sides with UV coating. Also includes typesetting basic information. Turn around time is 6-9 business days. Parents, this is level 1,2 and 3 of our curriculum (For ages pre-k through 12th grade). 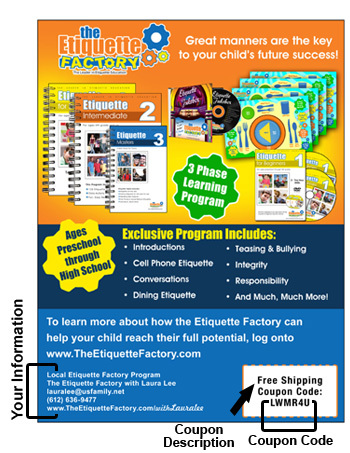 This is the original curriculum that The Etiquette Factory developed. This product is for families who do not have dependable wi-fi, or who still just enjoy paper over the screen which I know is still many of us. 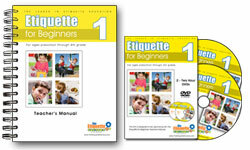 The Etiquette for Beginners Online replaced the Teacher's Manual, DVD, and CD in this product. 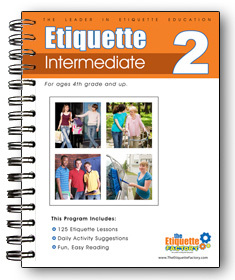 The Life Skills for You program replaced the Etiquette Intermediate book in this product. 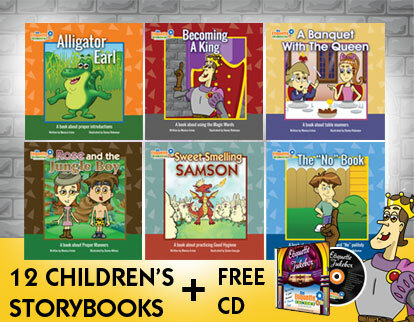 You may also add our 12 delightful storybooks that children simply adore. 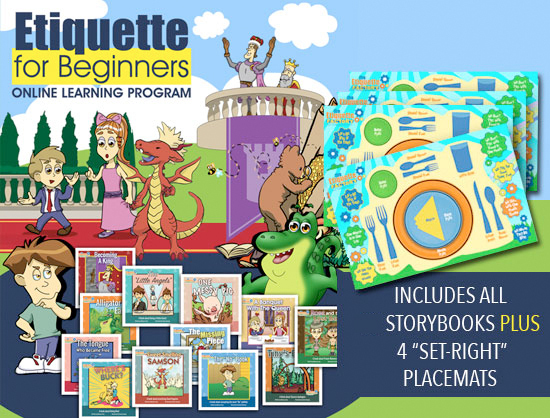 They are beautifully illustrated and include 5 questions at the back of each book so you and your children can discuss the principles taught in the stories. They are precious. Scroll down on the orange tool bar to the left to see this option. Parents, this is the perfect gift for your child to get them excited about writing notes and letters. 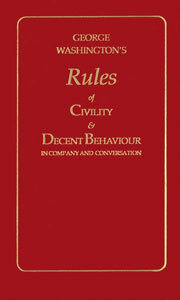 Proper etiquette is helping those around us to feel valued. What better way to help our family, friends, neighbors and acquaitances to feel valued than to take 5 minutes to pen a letter or a note to them personally. 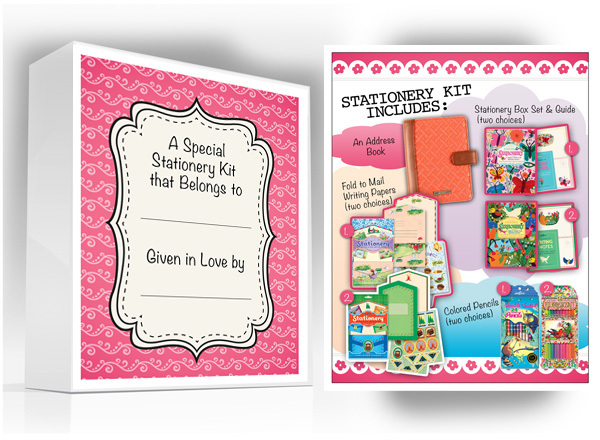 The set comes with a small how-to-write booklet with sample letters. Any child or young adult can master the lost art of letter writing: a letter of thanks, apology, condolence, and other expressions of support and solidarity. The simple act of sending a personal note can mean so much to its receipeint. 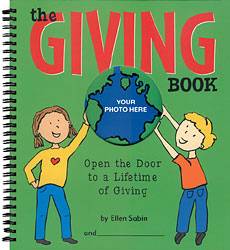 Give a gift that means so much and teaches great values. It's really adorable! Please look thru the pictures to the left to select which designs you want for each. 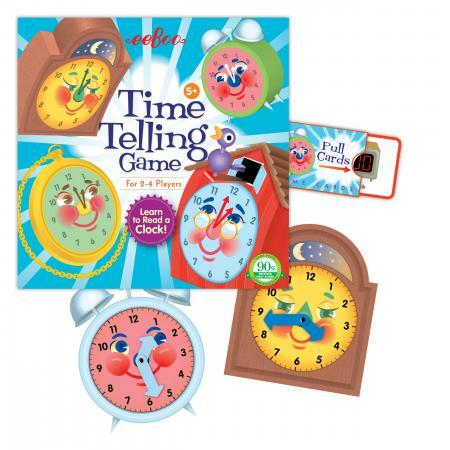 the Time Timer PLUS packs all the features that have made our timers the first choice of teachers, students, parents and professionals into a new design that’s as sturdy as it is useful. Ideal for active kids or a day full of meetings, the Time Timer PLUS features a rugged case and durable clear lens to protect its patented red disk. 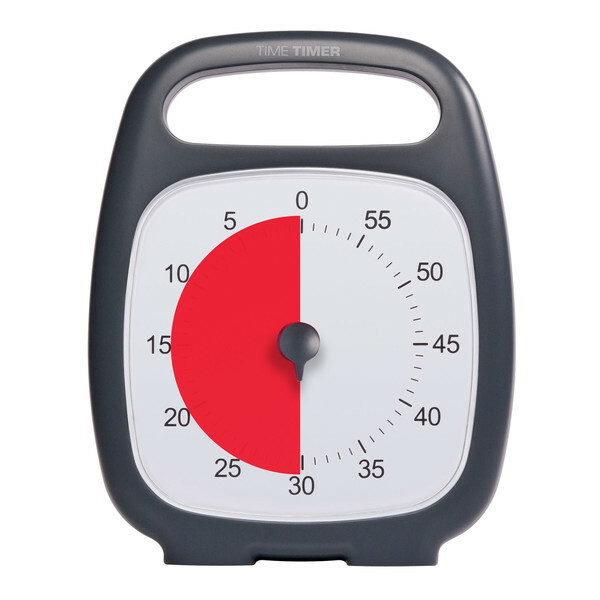 And the new on-the-go handle makes it easy to take the timer anywhere you go! “Seeing” time elapse makes the Time Timer PLUS ideal for: Teaching children the concept of elapsed time Making homework and practice time more productive Reducing conflict in family and household routines Managing the stress of transitions by showing “how much longer” Empowering teachers to teach instead of constantly monitoring behavior Increasing performance on tests and in the workplace Keeping meetings on time and moving forward Transcending language and culture barriers The Time Timer PLUS also features a new volume control dial for those times you need a louder tone and those when you prefer silence. Lightweight anti-static disk Silent operation Size: 5.5" x 7"
I am so excited to bring this book to you that has been requested by so many parents. For years, I have traveled around the country teaching workshops to parents and educators on how to help our children become ladies and gentlemen. Every parent wants their children to be kind, compassionate and loving, while exhibiting the utmost character and integrity. What I have learned in my experience is that it is very difficult for Moms and Dads to raise ladies and gentlemen, if they themselves do not demonstrate what it means to be a lady and a gentleman in the home. 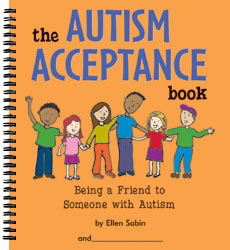 This book is for you, Mom and Dad. 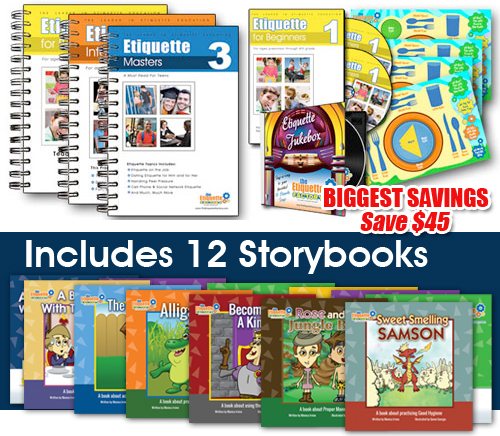 This is a 52 week (one year) study guide that helps to make sure that you have all the skills needed to be the best role models for your children that you can be. This book will change you. This book will change your family. It's very simple. Each chapter is usually just 2-4 pages which you will read at the beginning of your week. Then, there are a few questions and assignments that will help you to evaluate any needed improvement. Finally, there is a journaling page that will allow you to record your feelings that you have experienced during the week as you have read, pondered and prayed over the weekly skill. 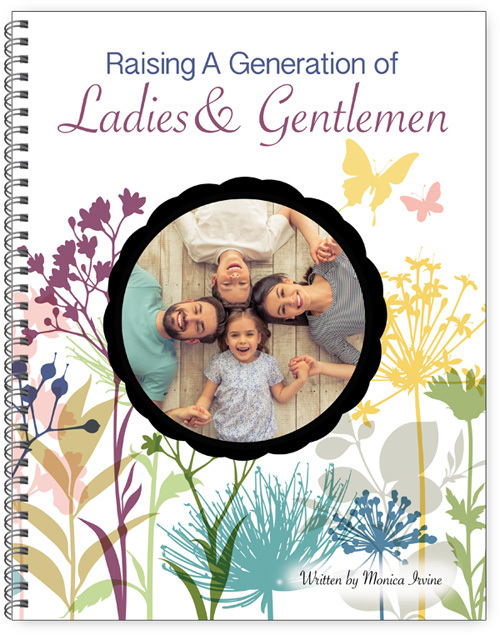 This book will become a gem and a family heirloom that your children will cherish once they become parents. Don't wait another day! This is more than a book. It will make the next 52 weeks become some of the most treasured days of your life as you walk the road of self improvement. I can't wait for you to experience it. This study is wonderfully sweet to do as a couple, reading each chapter aloud to one another and then discussing the questions about your family. As you go through this experience together, the Lord will impress upon your hearts needed changes for your family and you and your spouse will be more united and more endeared to each other. I promise. This study is also perfect as a year Bible study for your ministry. If you would like more information concering using this study in this way, please email me at: monica@TheEtiquetteFactory.com. Truly, it will change and soften hearts and increase the love in your homes. Oh mercy! I hope you love these adorable charming napkins as much as I do! I just love when I can give children a visual reminder of important manners considerations to cut down on mom and dad having to give verbal reminders. 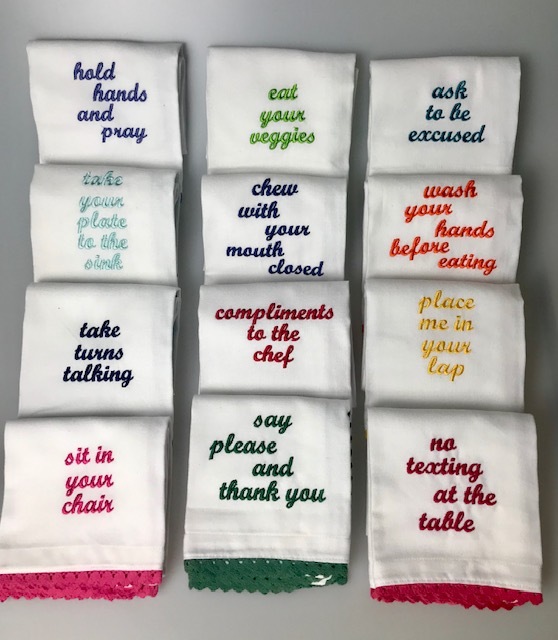 These napkins are high quality, beautifully made with tender phrases to help us be kind and generous while dining. Parents, dinner time to me, is sacred time with our families. I think it is so important to do our best to keep this special time with our family, positive, cheerful and uplifting. What we don't want is to be the etiquette police at the table, constantly critiquing and correcting our children. Let's remember, that if possible, we only correct in private. 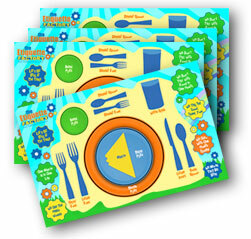 These wonderful napkins will brighten your table and add fun conversation when your guest arrive. What a great gift to give any family!! 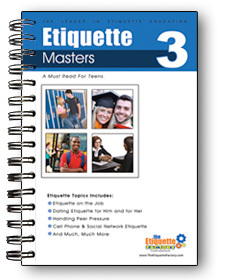 Etiquette Intermediate is 125 days of short,concise, yet vital lessons to help your child(ren) master the art of proper manners and social skills. 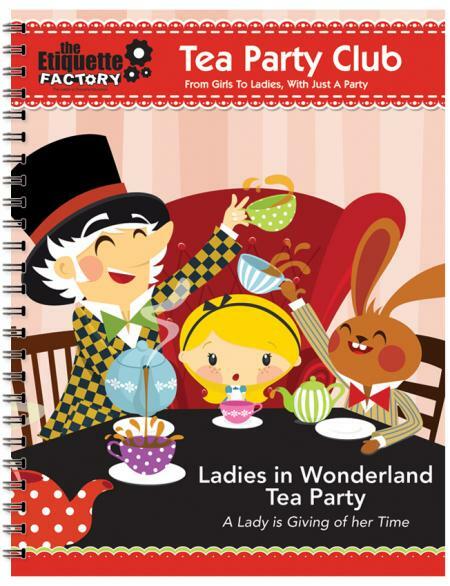 Now, here's the good part...this book is “child taught,” not “mom taught.” Yes, that's right. 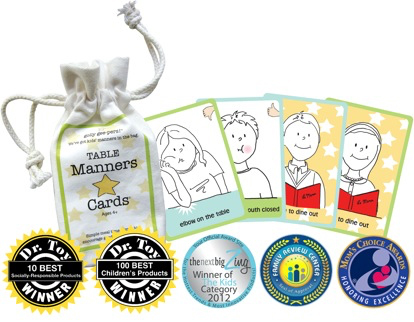 Each day your student will read the lesson and then that child will teach the family or the class the etiquette skill. The daily activity is usually role playing the skill or a game or further discussion. This book is fun, easy and absolutely brilliant. It will soon become an invaluable treasure to your family and classroom. 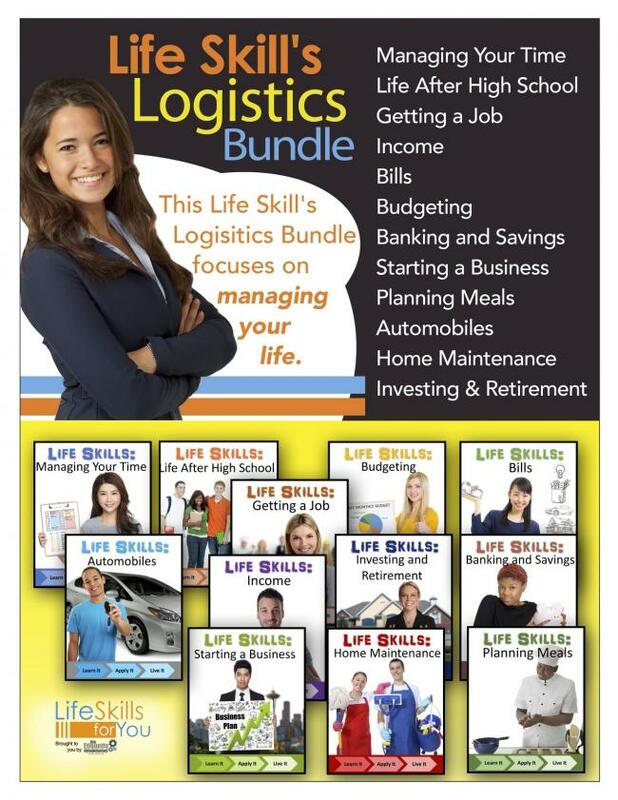 What's the difference in this book and the Life Skills for You product? 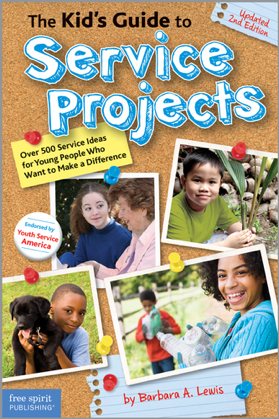 This book is only the text of 125 lessons that are in the Life Skills for You program. Many families still prefer to use a book over an online program and that is just fine. This book is amazing and it will bless your family when discussed as a family. Once again, I just want you to make the best choice for your family. We sell more of these books than any other product. Geez! I'm so excited to tell you about this special little product. 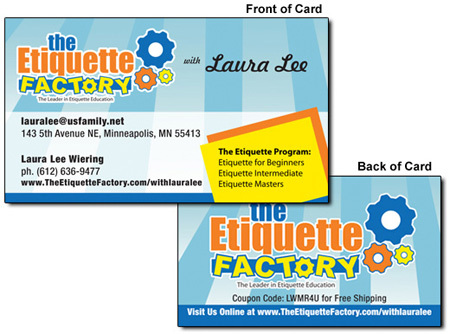 We all just love it at The Etiquette Factory. It's a little thing that delivers HUGE results. May I introduce you to, Do You Know Your Family Dinner/Travel Cards. have more engaging and meaningful conversations. practice conversation etiquette as each person strives to answer their question in 2 minutes or less (the polite amount of time to talk before passing the torch to someone else). put away social media and cell phones during this special time each day. make sure that everyone feels valued and heard as each person takes their turn to answer the question. come to know that each of us has hard things, wonderful things, scary things, shocking things, etc. that we go through each and every day. love each other more deeply. For the better we know each other, the more likely love grows. Parents, I first thought of this concept after someone very close to me passed away. Afterwards, I realized that I had so many questions that I wish I had asked about their life and their history. I should have taken more of an interest to learn what made this person sad, happy, excited, motivated, scared, etc. Becasue of this experience, I came up with a long list of questions that I want to know about everyone I care about. Each day, whether you are in the car, at the dinner table, or wherever, pick a question and have everyone present answer it. Get ready to fall in love with conversation all over again. 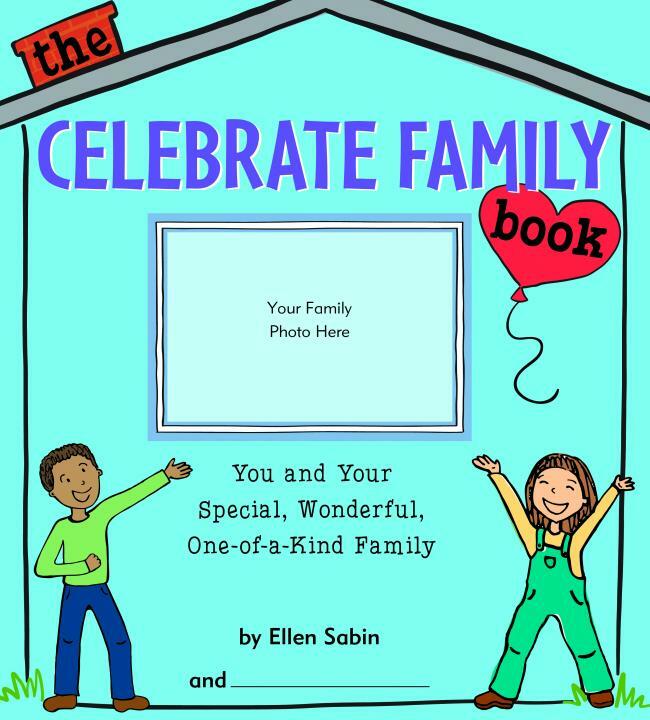 Give your family this special gift. 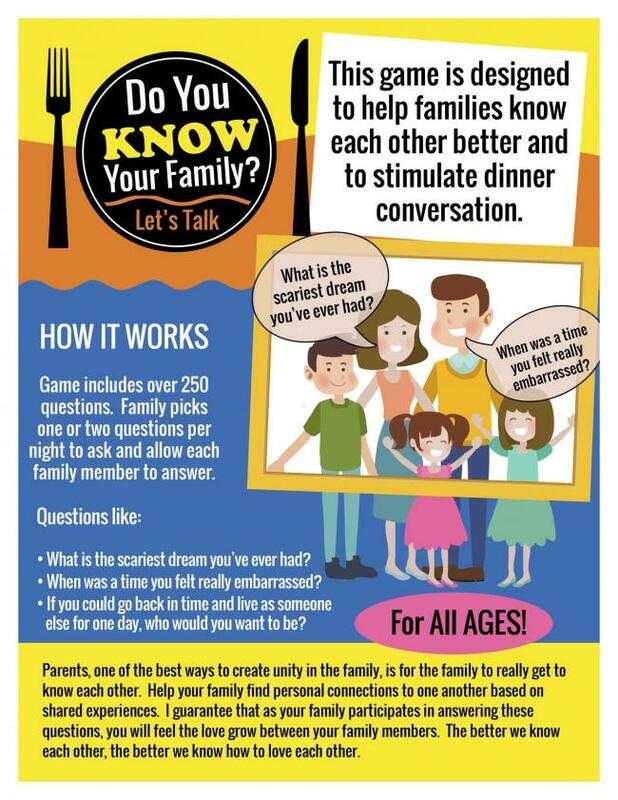 We have been asking our family members these questions and it creates such fun and sincere conversations. You can't imagine what tender things are shared and what funny thigns are shared. Don't wait another day to give your family this special gift. You will love it! This product comes with 267 questions in a durable plastic jar with a secure lid, along with a small travel bag so you can always keep some cards in the car to use while traveling or while visiting others. 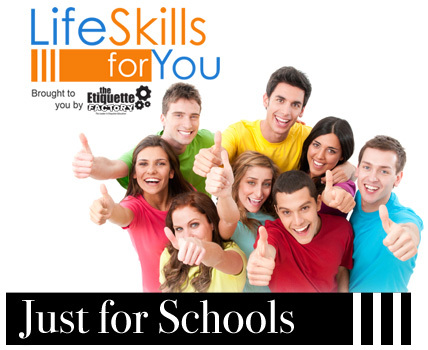 Extend your LifeSkills accounts expiration by 1 year. This is a step by step guide to Organizing Your Life, Creating a Schedule and Giving your Family Peace, Productivity & Happiness. Author Monica Irvine gives you every tool, insight and direction you need to create a schedule for your family that gives you back your life, one hour at a time. Perhaps you don't think you're a "schedule" kind of a person, but you have a child that really craves routine and schedule. This book is for you. 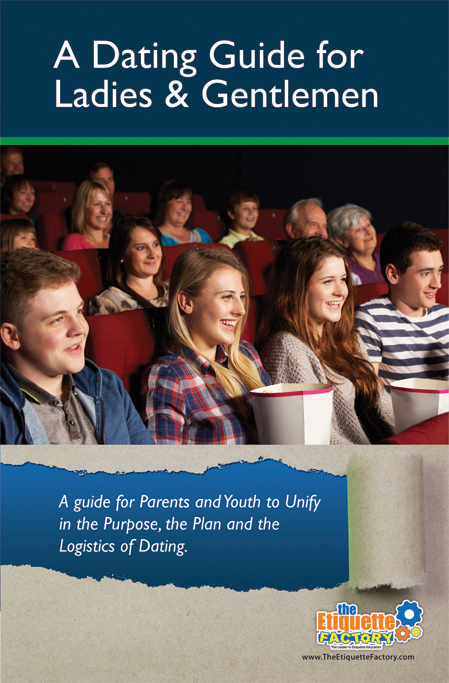 This is a short and easy read, but the information will literally secure your family relationships, increase productivity and confidence in your children and most importantly, reduce your stress. 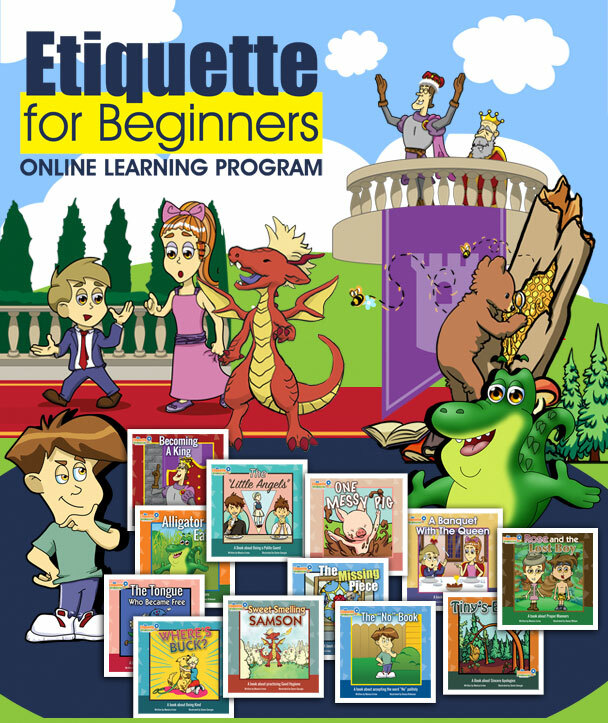 (ebook version) Etiquette Intermediate is 125 days of short,concise, yet vital lessons to help your child(ren) master the art of proper manners and social skills. Now, here's the good part...this book is “child taught,” not “mom taught.” Yes, that's right. 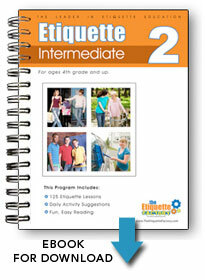 Each day your student will read the lesson and then that child will teach the family or the class the etiquette skill. The daily activity is usually role playing the skill or a game or further discussion. This book is fun, easy and absolutely brilliant. It will soon become an invaluable treasure to your family and classroom. 5 Parenting Workshops available on CD or MP3 download: Raising Girls to Be Ladies This workshop is pure motivation. Do you want your girls to be true ladies who value empathy, integrity, respect, morality and individual worth? They must see these skills in you. No, we're not perfect parents, but we can make sure that we are doing our best to exhibit the character traits that we want our children to have. We're never too old to learn, to change, to be better. As you listen to this wonderful workshop, your heart will swell and your determination will increase. This is a "must hear" by every parent. Raising Boys to Be Gentlemen Dads and moms...this workshop is so important for both of you to listen to if you are determined to raise true gentlemen. These are skills that our society do not teach any more but they are skills that will determine your son's success both personally and professionally. Please take the time to listen to this one hour workshop. Dads walk away from this workshop with a whole new perspective on the importance of being a gentlemen. 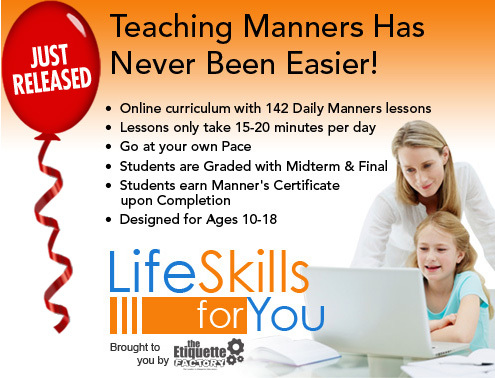 Manners Matter & Mean Success Sometimes, parents need a few more skills themselves to help them be the best parents they can be. This workshop literally teaches the how and why behind 7 different skills that every child should be taught including: proper introductions, addressing adults, standing for others, accepting the word, "no" with grace, the five steps to a sincere apology, first request and table manners. You will simply love this. It will change how you parent. 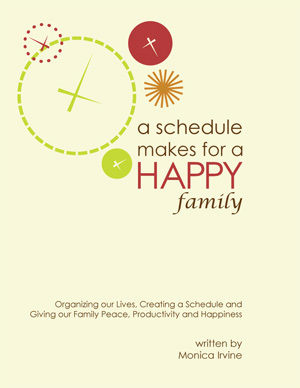 A Schedule Makes for a Happy Family Yes, I realize that mom and dad may not like schedules, but do you have a child that needs a schedule? Most of us do. A schedule can give your family the freedom to do the things that matter most, like one-on-one time with your children, mom/dad date nights, family fun time, family projects, etc. You will love love love this workshop and you will be so inspired to start a schedule today. Just listen and see if this doesn't change the way you look at organizing your home. Your family will thank you. Finally, Discipling Your Children without Breaking Their Spirits is a very heart felt discussion on the things we do and say that can gradually tear dowon our chidren's spirits. Listen to this discussion and make sure that you are not doing things that cause more harm in the name of "discipline." I simply love flashcards because they promote healthy discussions so easily without anyone feeling like their behavior is being pointed out. These flash cards by Eeboo are so well thought out and so well made. 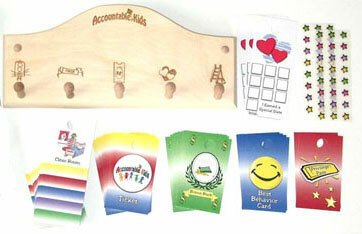 Each set comes with 48 flash cards and 2 parent cards. You can keep them in the car for some great car conversation or at the breakfast table for some great dining conversation. Another way that I love to interact with children with flash cards is with finger puppets. Children are often times much more authentic when they can express their thoughts through a puppet. Having them “act out” the correct way and the wrong way from the ideas on these flash cards are a wonderful way to really engage your children. 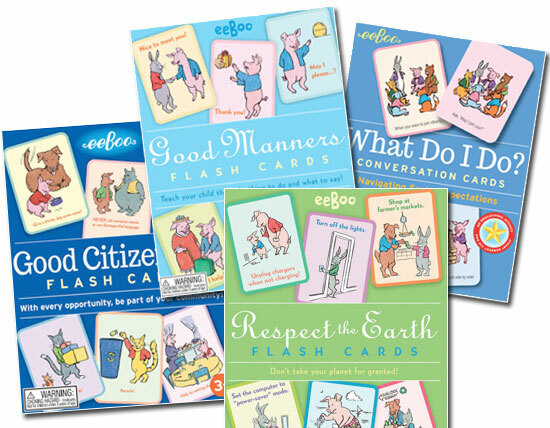 Friendly animals show simple ways to reduce, reuse and recycle in the 48 cards that demonstrate answers to questions about relationship to the larger world that children can relate to. For example: Before you recycle containers, Rinse your recyclables! If you have a computer, Ask your parents to set the computer to power-saver mode. To better understand the planet, Spend time in nature and see what it can teach you. Polite pigs make manners satisfying to learn, demonstrating good behavior in familiar situations. One side of each card asks what approach or response is right for a situation; the reverse offers a good suggestion. For instance: When you answer the phone, what do you say?... "Hello, Piggie residence. Mom can't come to the phone, may I take a message? Who is calling?" What do you do when you meet someone?... Look at their eyes and give a firm handshake. You should try not to burp in public. But if a burp surprises you, what do you say?... "Please excuse me!" These posters are a great way to send a positive message to children. 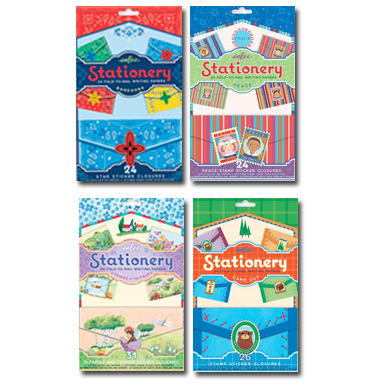 They can be purchased individually or save by purchasing as a set of 4. It's time for all children to make the Stop Bullying Commitment. Children love to keep their word and making a verbal commitment regarding bullying is the first step in helping children recognize the signs of bullying and what they need to do if they or someone they know is being bullied. This visual reminder is a MUST for every classroom. Poster size is 16" by 20"
Wow, what a reminder. There's no better reminder to keep our mouths clean! This poster is fun but very direct and helps children remember the rules of a clean mouth. Poster size is 16"x20"
Sharing is wonderful but what most people forget is the rules of borrowing. This poster is extremely effective in the classroom as it helps children remember important borrowing rules that saves friendships, hurt feelings and misunderstandings. 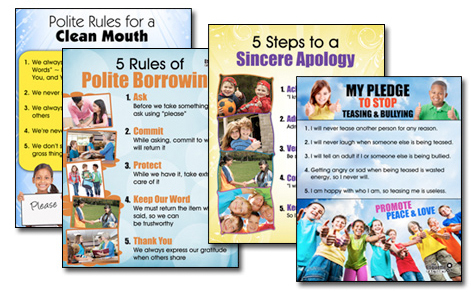 Poster size is 16"x20"
This poster is really great to help children have a visual of the 5 steps to a sincere apology taught in the Etiquette Factory curriculum. This colorful and attractive poster gives children a measuring stick to guide them as they learn to apologize sincerely. Poster size is 16"x20"